How artists learnt from rejection. 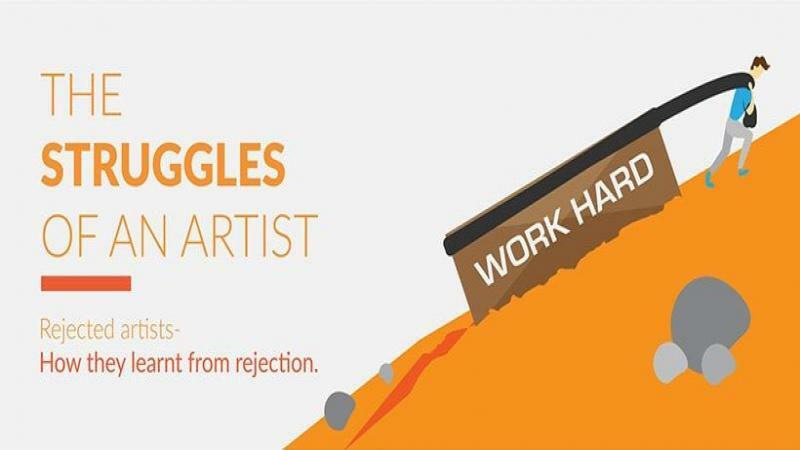 Artists have since long been stereotyped as failures, especially when they have just started put in their field.Most famous fine arts artist, authors, sculptors or designers had faced innumerable rejection when they started off their career. There are a few classic examples of rejected artists, writers, and others in the entertainment field who eventually made it to the top. Vincent Van Gogh, world's most celebrated painter had sold only one painting during his entire lifetime. He lived a life spent mostly in misery and penniless. Learn not to give up! J K Rowling, first Harry Potter manuscript was rejected by twelve publishing houses and Steven Spielberg was rejected by University of Southern California of theatre, films and television three times. All artists are unique in their own way. Each of an artist's work is unique and exclusive in its own way. The legend of Indian cinema, Amitabh Bachchan was rejected by the industry and the all India Radio for his deep baritone during his earlier days. Today, his voice is the essence of the Bollywood Industry. Perseverance has played a key role in taking so many artists, authors, designers and poets to the top. In a speech at Standford commencement, Steve Jobs said, "The only way to do great work is to love what you do, if you haven't found it yet, keep looking. Don't settle." Similarly, Vincent Van Gogh, J K Rowling, Steve Jobs, Steven Spielberg and many more; all of them had one thing in common. They pursued their passion extensively and maintained exclusivity even when the world pushed their limits. Walt Disney was fired by a newspaper editor because he apparently 'lacked imagination and had no good ideas', all of his business ventures ended up in bankruptcy. An artist might never know the value of his work unless he receives the recognition from his audience. This can be achieved only when he has pushed his limits, raised his standards and promoted himself as a brand. "You ain't goin' nowhere, son. You ought to go back to drivin' a truck." said the manager of the Grand Ole Opry, when he fired Elvis Presley right after his performance. Rejection has never backed down the spirit of a true artist. When an artist becomes loyal to his own self, shouts out his ability and strives to stick to his goals, then his audiences soon follow. There are a large number of famous artists who struggled and authors and poets who need to understand the importance of pushing their personal brand and marketing themselves in the right ways. Remaining unique to a particular domain marks promise and also keeps audiences and buyers aware of your brand identity. The making of an artist is not a very smooth path. Struggles, rejections, constant failures are what have taken artist to the top. Soul searching plays a very crucial role in building a brand image. Artists spend days and weeks locked away with just a painting and emerge with a masterpiece so that they can have there art in art studio. Writers work on one book for months and years. These are all traits of people who pursue their dreams without being backed down by failures. Jacob Riis had rightly said, "Some defeats are only instalments to victory." At a commencement speech at Harvard, J K Rowling said, "Failure meant stripping away the inessential. And so, rock bottom became a solid foundation on which I rebuilt my life." Sometimes when one is at the brink of giving up, there is one last push that makes a huge difference. The First novel of Stephen King 'Carrie' was rejected 30 times, he threw it in the trash after the 30th rejection. His wife dug it out and urged him to try 'one last time', thereby resulting in the iconic author that we know of today. 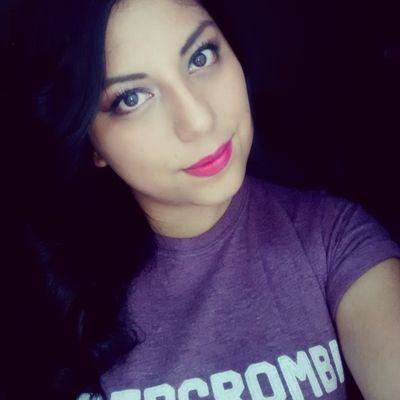 Criticized? Learn how to deal with it! Almost all great artists, writers, musicians or actors have had to stumble through a series of setbacks before they emerge as an untouchable brand. They have had to face rejections for being too bold, too edgy, very ahead of their times, and also based on the color of their skin. Ace singer Bruno Mars was allegedly rejected by a music industry executive because he was not a white. Failure has played a huge role shaping up the future of many artists and taking them to the top. Show Flipper has started to emerge as a great space for young and budding artists, an art café like a art studio that promotes their art work to the global audience! It hosts a number of art segments in the SF Studio, a place every art admirer must visit! The ShowTainers gain fame and recognition by connecting with fans around the world! Visit https://www.showflipper.com and get the latest and greatest collections of fine arts, fabric arts, abstract arts and much more at the art studio.